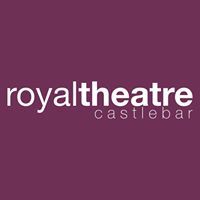 David Gray confirms release details for a new album Gold In A Brass Age - his first album of new material in four years - alongside a seventeen-date tour of the UK & Ireland, playing The Royal Theatre Castlebar, Thursday April 4th 2019. The album will be available on March 8 through IHT Records / AWAL Recordings, with first single 'The Sapling' out today. Produced by Ben DeVries, son of producer and soundtrack composer Marius, Gold In A Brass Age finds Gray in renewed creative form. The album arrives just ahead of a run of headline shows, commencing at Cardiff's St David's Hall on Friday, 15th March and including London's Royal Festival Hall on Sunday, 17th March before travelling to Castlebar's Royal Theatre on Thursday April 4th. Gold In A Brass Age is defined by an intuitive approach from Gray, exploring new electronic textures and sound palettes, along with new production techniques in the process. Using a cut and paste approach to the arrangement of songs, the album's atmospheric and experimental undertones are evident throughout. The album's title is drawn from Raymond Carver's short story Blackbird Pie, and informed by the regenerative cut and thrust of Gray's adopted home of London and a fascination with the natural world which has long since consumed his time outside of music. The album's striking artwork - for which Gray sought out Peckham-based tattoo artist London Boy - depicts an Emperor moth with the City of London captured between its wingspan. Speaking about the creation of Gold In A Brass Age, Gray says; "With this album, my default position was to do everything different-ly. I didn't think 'this would be a good hook or 'these lyrics could work for a chorus. I was keen to get away from narrative. Instead of writing melodies, I looked for phrases with a natural cadence, so that the rhythm began with the words. I reimagined where a song might spring from and what form it could take." Written in breaks between several month-long tour stints - which included a US co-headline run of shows with Alison Krauss - Gold In A Brass Age sees Gray's unmistakable vocal hushed in many places to an intimate falsetto, to compelling effect. Hypnotic lead single & album-opener 'The Sapling' bears out the nuanced approach in spades, with Gray's rumination on the brevity of life tempered by layered vocals and a brass section including cor anglais and baritone sax. "Time ticking by is a theme that recurs throughout the record' says Gray. "Fragility, renewal, a changing of perspective." 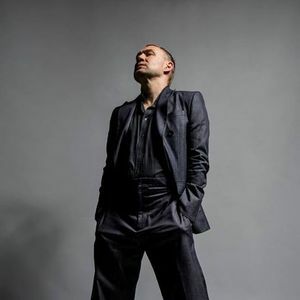 Gold In A Brass Age will be David Gray's eleventh album in a career that spans over 25 years, several Brit and Grammy nominations, and three No.1 UK albums, including for the breakout multi-platinum White Ladder. It is also a vital new collection of songs from an artist still revelling in his passion for song-craft, pushing himself into unfamiliar terrain, surprising himself as much as his fans along the way.